One occupant of the plane carrying footballer Emiliano Sala and pilot David Ibbotson has been seen in the underwater wreckage. A search on Sunday found the Piper Malibu plane on the seabed off Guernsey, almost two weeks after it went missing. The Air Accident Investigation Branch (AAIB) confirmed the sighting on Monday morning adding that it was now considering the next steps. 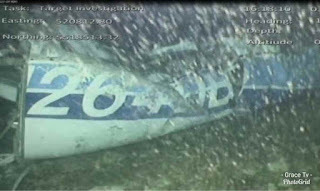 The "substantial amount of wreckage" of the plane, which went missing on January 21st, was found on Sunday morning after a privately-funded search was started. 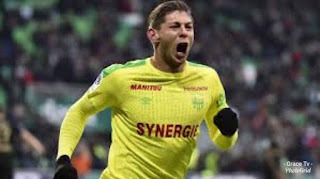 The flight was carrying Argentine striker Sala and pilot David Ibbotson from Nantes, north west France, to Cardiff after Sala completed his £15m move to Cardiff City. In a statement the AAIB said: "the remotely operated vehicle (ROV) carried out a further search of the area overnight, but did not identify any additional pieces of wreckage. Tragically, in video footage from the ROV, one occupant is visible amidst the wreckage. The AAIB is now considering the next steps, in consultation with the families of the pilot and passenger, and the police." Oceanographer and marine scientist David Mearns confirmed the wreckage had been found on Sunday after "a couple of hours" of searching the seabed.